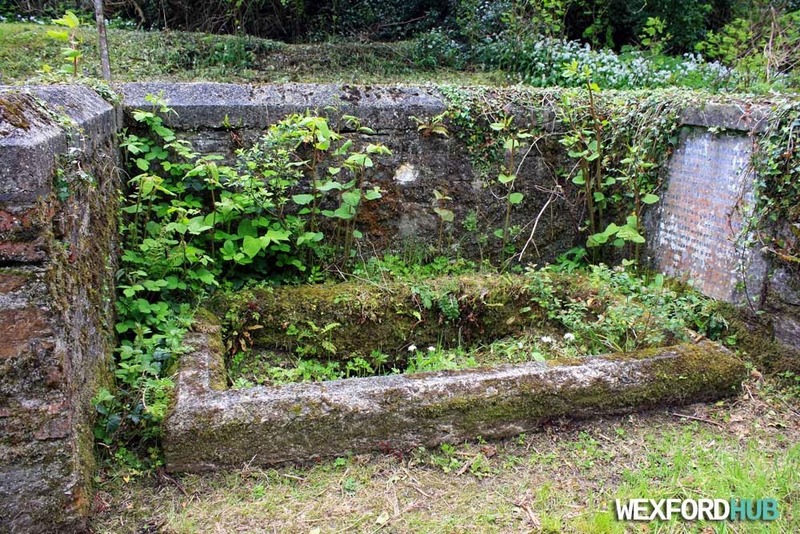 Here are some old graves from Wexford in Ireland. Hopefully, they will be prove to be useful or interesting to those who are doing genealogy research on their family tree. I will add more if I happen across them in the future. 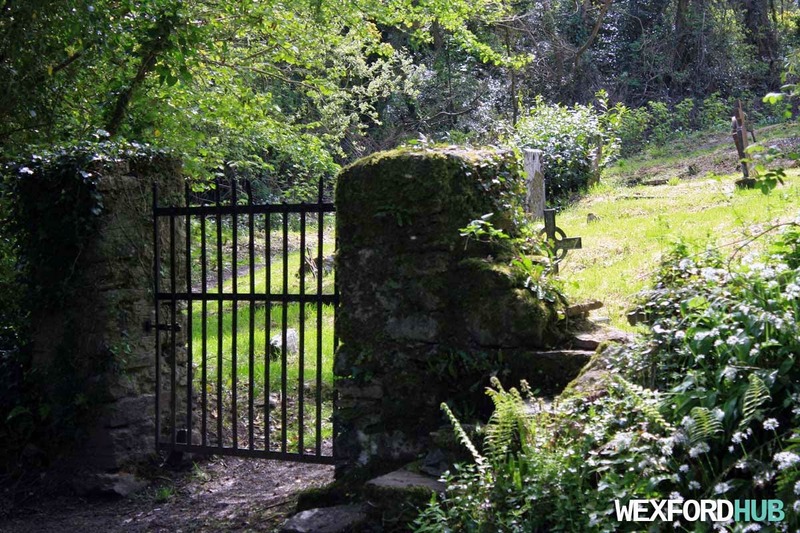 So far, I have only visited Rathaspeck Church and Carrig Graveyard. Colonel Frederick Miller in Rathaspeck Church, Wexford. 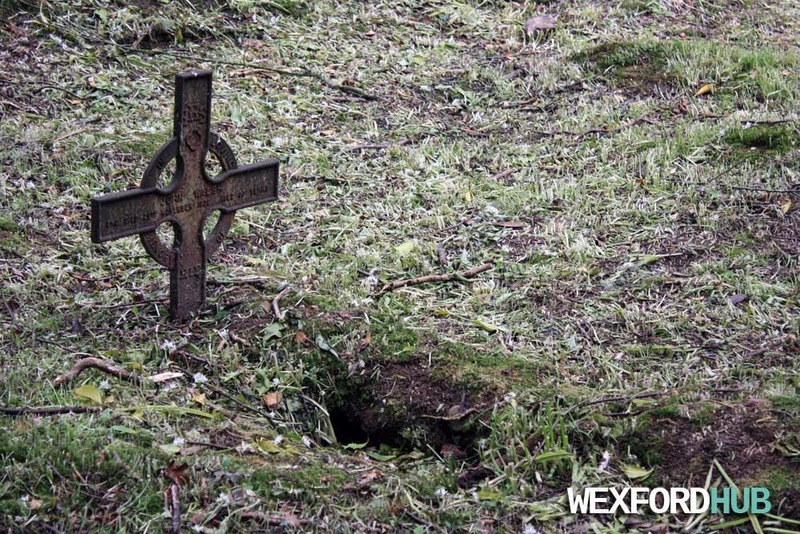 Carrig Graveyard. 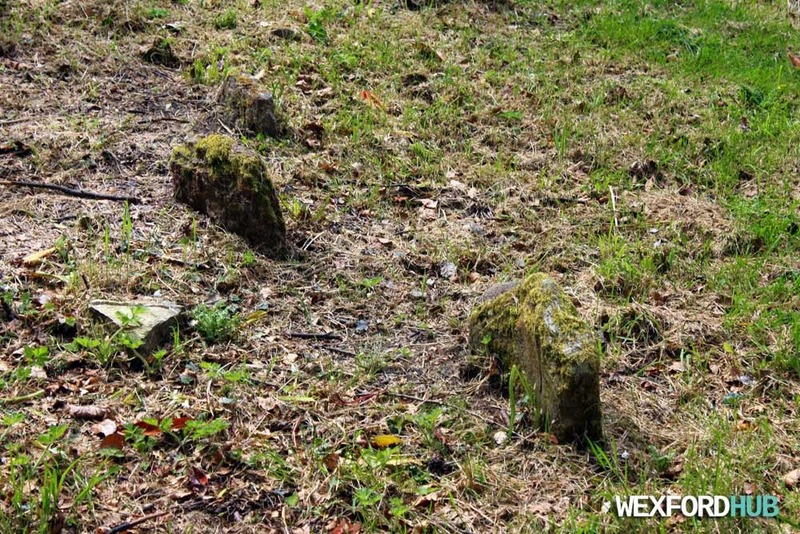 The grave of William and Lizzie Keyes. William died on the 3rd of October, 1901, at the age of 42. 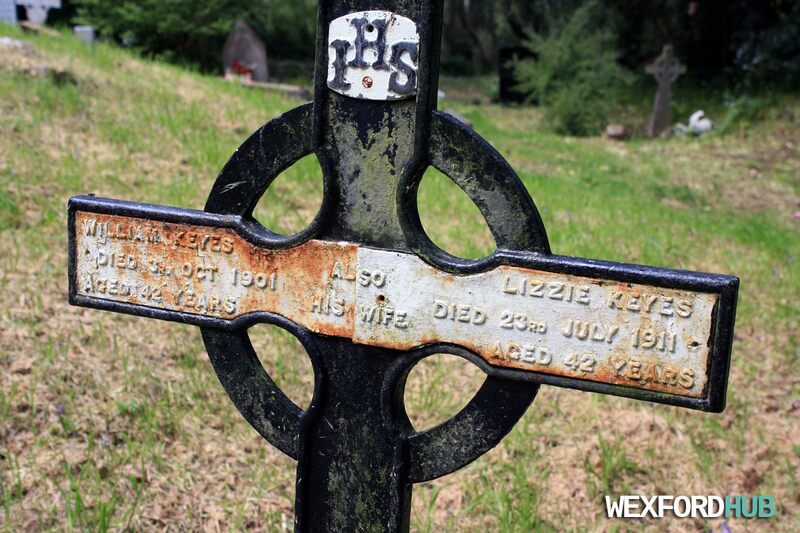 His wife Lizzie died 10 years later on the 23rd of July, 1911. She was also 42 years old. 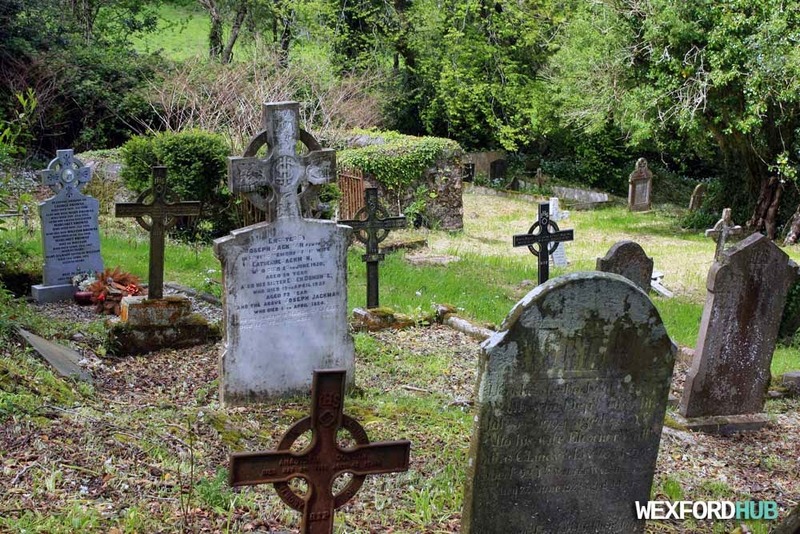 Carrig Graveyard. 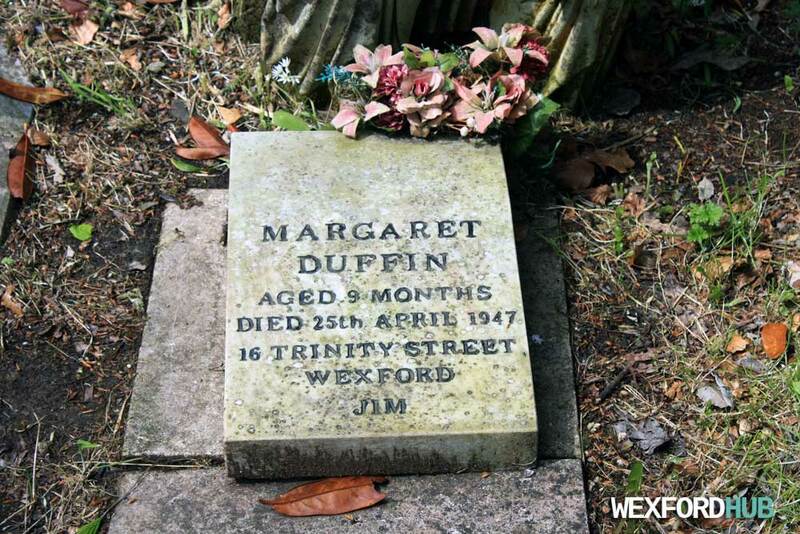 Margaret Duffin from 16 Trinity Street in Wexford. Tragically, she died aged 9 months on the 25th of April, 1947. At the end, the name "Jim" is inscribed. 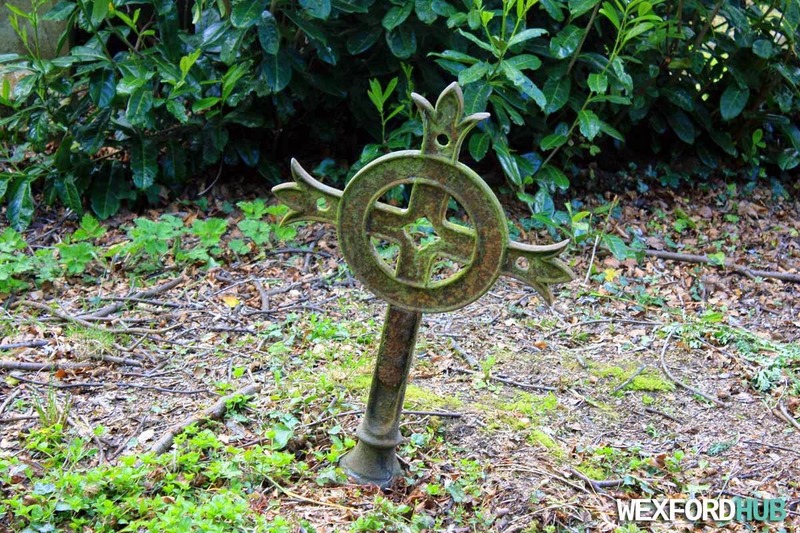 Carrig Graveyard. 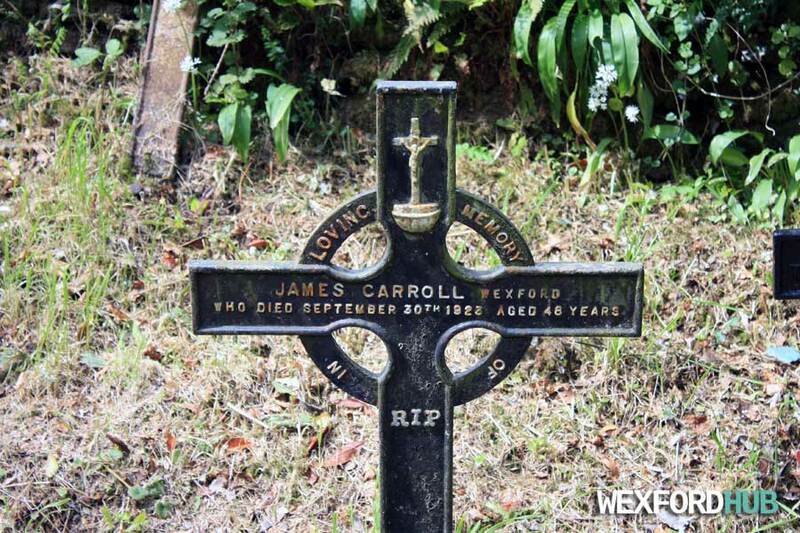 James Carroll from Wexford. Died on the 30th of September, 1922, at the age of 48. 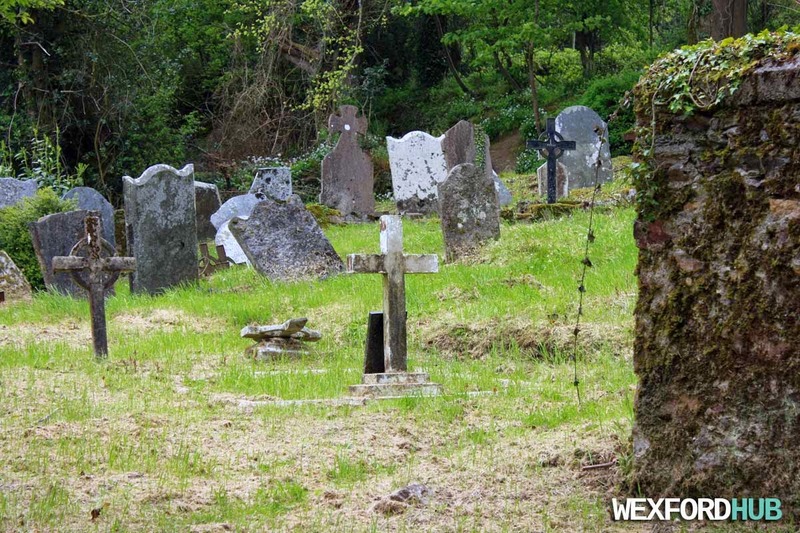 Carrig Graveyard. Unfortunately, I can't make out the given name on this one. Theo, Thes, Thea? Or is it shorthand for Thomas? 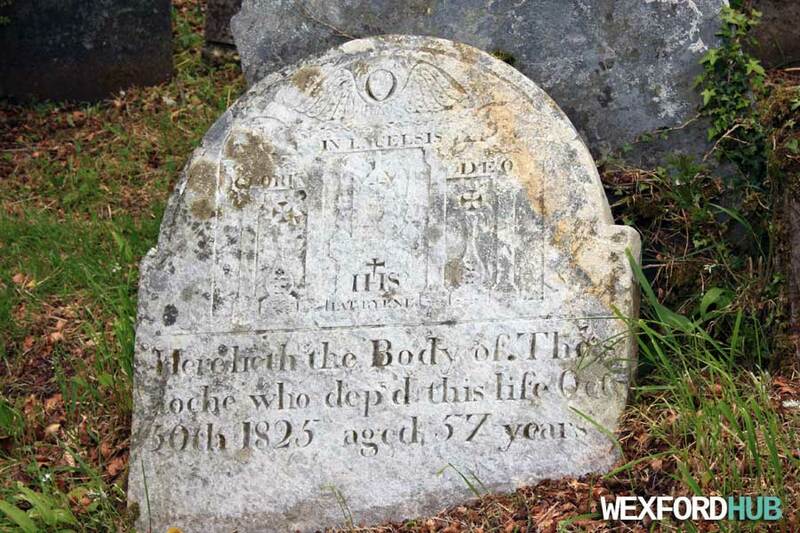 The surname is Roche and he / she died on the 30th of October, 1825, at the age of 57. 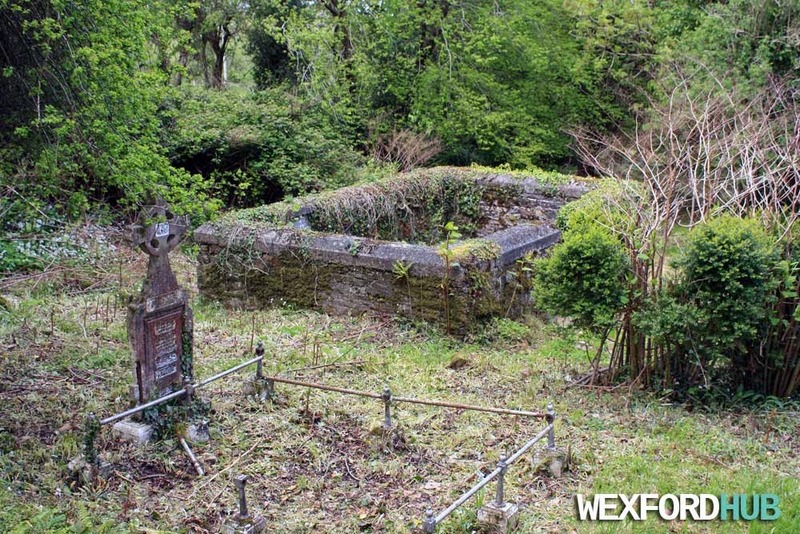 Carrig Graveyard. The resting place of members of the Perceval family. Sarah Perceval (nee Harvey). The widow of Robert Perceval of Haystown. Born on the 1st of January, 1800. Died on the 3rd of May, 1880. Sarah Perceval. Born on the 30th of September, 1833. Died 22 May 1890s. Can't read the last digit. Anne Perceval. Born 7th July 1835. Died 8th of March in the 1900s. Can't read the last digit. Their son-in-law Edmund Dimsdale died on the 24th of May, 1897, at the age of 44. Edmund's widow (eldest daughter of Sarah and Robert Perceval), Mary Dimsdale. Born on the 16th of June, 1831. 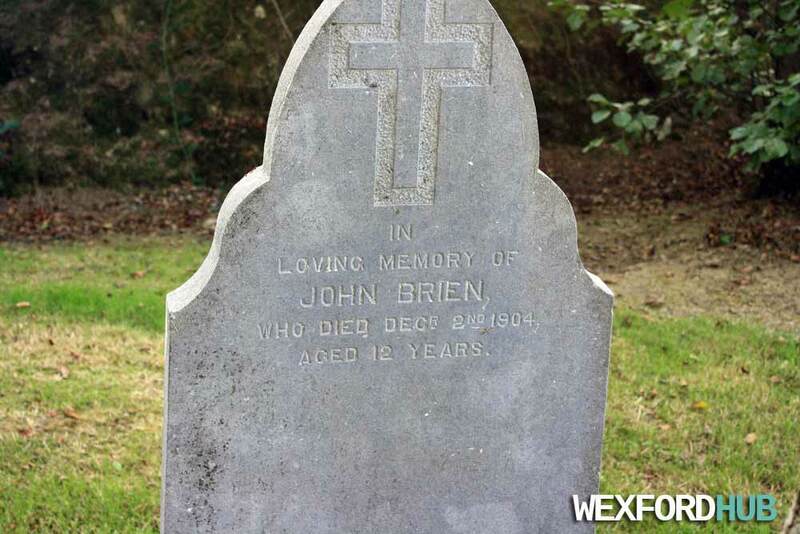 Died 8th July 1907. Some simple Math tells us that Sarah had her first daughter at the age of 25 and that she died at 80 years of age. From there on, it becomes a bit more difficult to read. John James Perceval of Barntown. Captain of the 17th regiment of foot (infantry). Born 22nd May 183(?). Died 16th March 1913. After doing some research, I found out that Robert Perceval married Sarah Harvey in 1829 and that he built Haystown House. 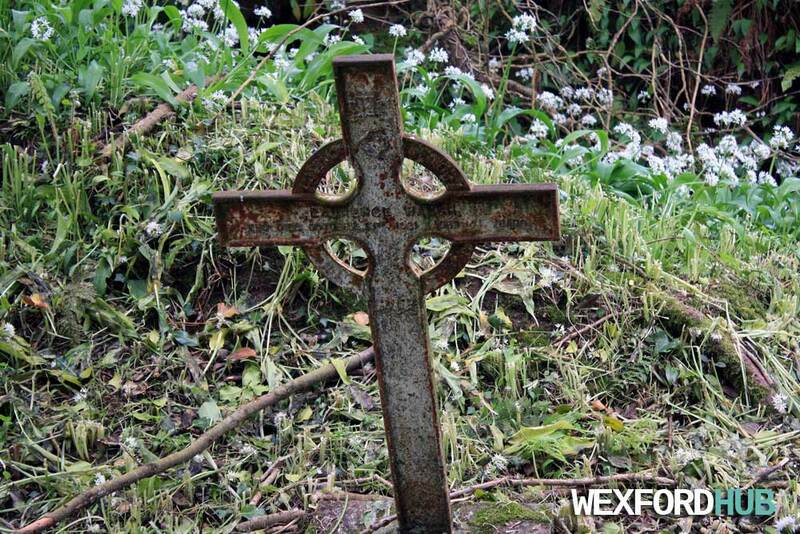 Carrig Graveyard in Wexford. 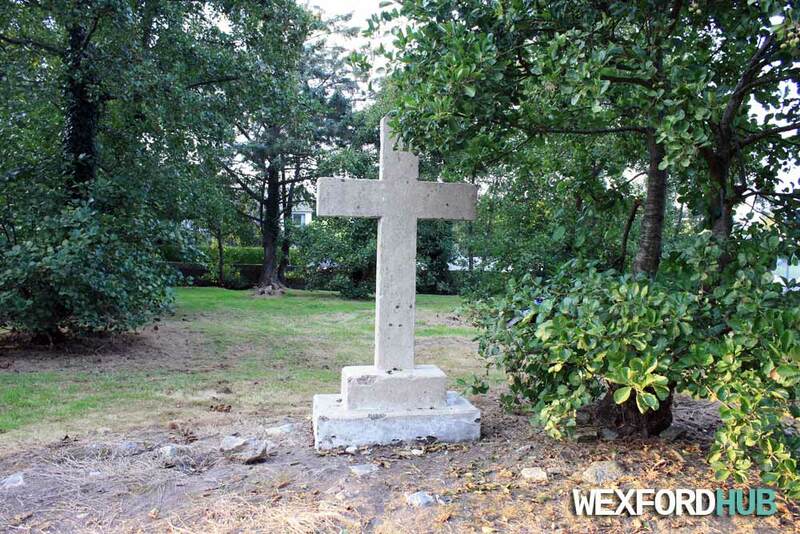 Unfortunately, this cross has been badly eroded, making it difficult to read. This is Laurence Walsh, who died on the 13th of October, 1921, aged 44 years. 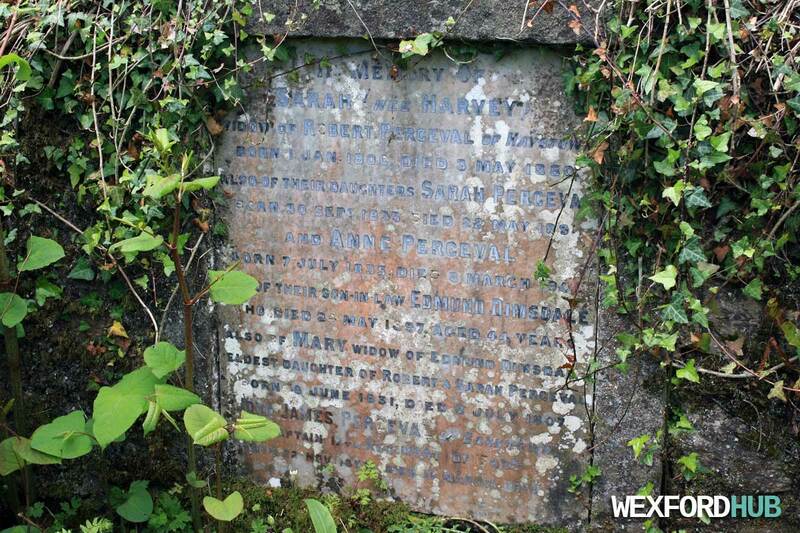 Built by Joseph Jackman of Newtown, in memory of his wife Catherine Jackman, who died on the 20th of June, 1920, aged 59. 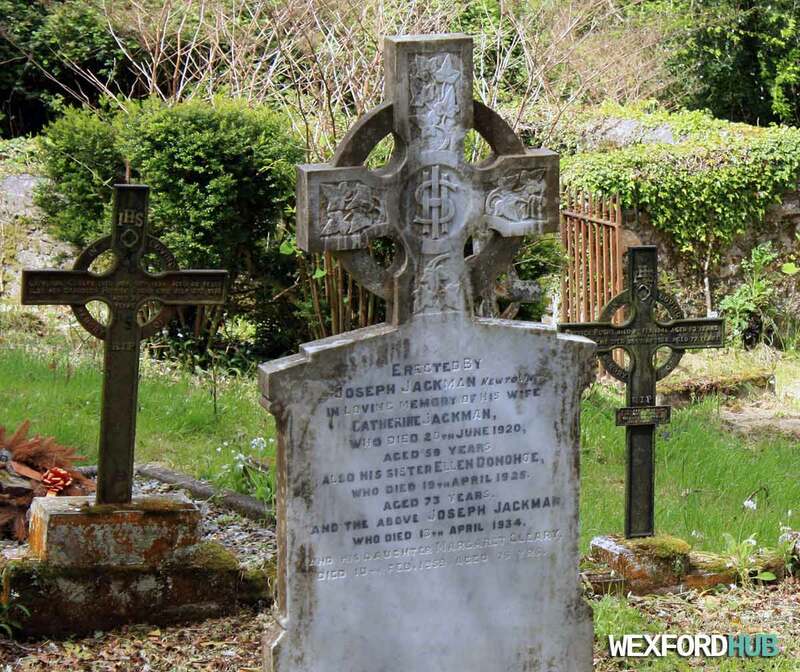 Also, his sister Ellen Donohoe, who died on the 19th of April, 1925. His daughter, Margaret Cleary, who died 10th Feb 1959. Jospeh is also buried here. Died 13th April 1934. 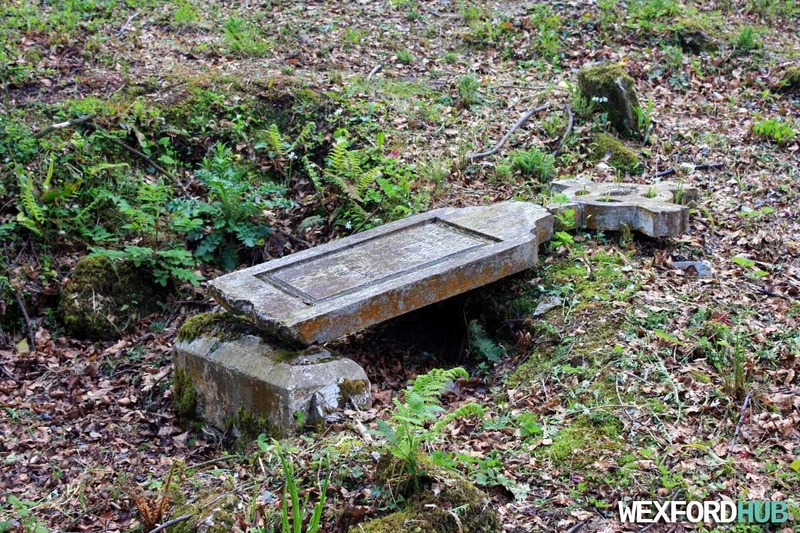 Here lies the body of William Furlong of Coalcotts (Coolcotts?) 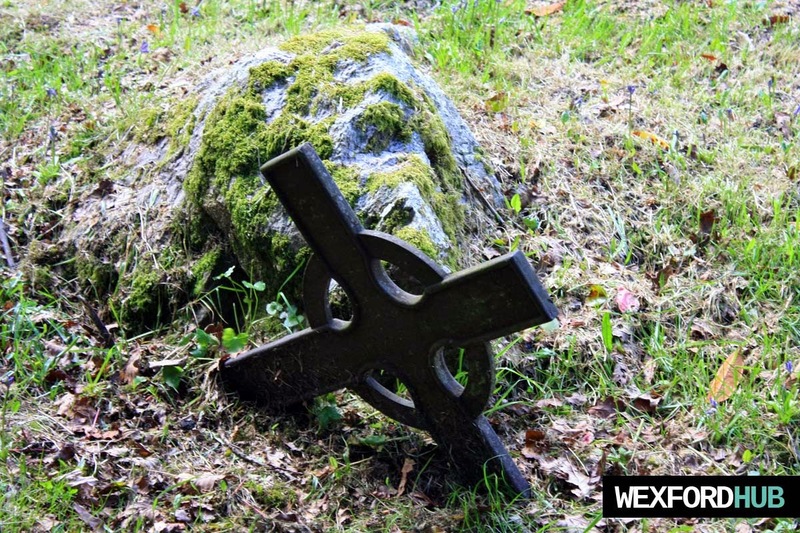 who departed this life July 28th 1794. Aged 44. 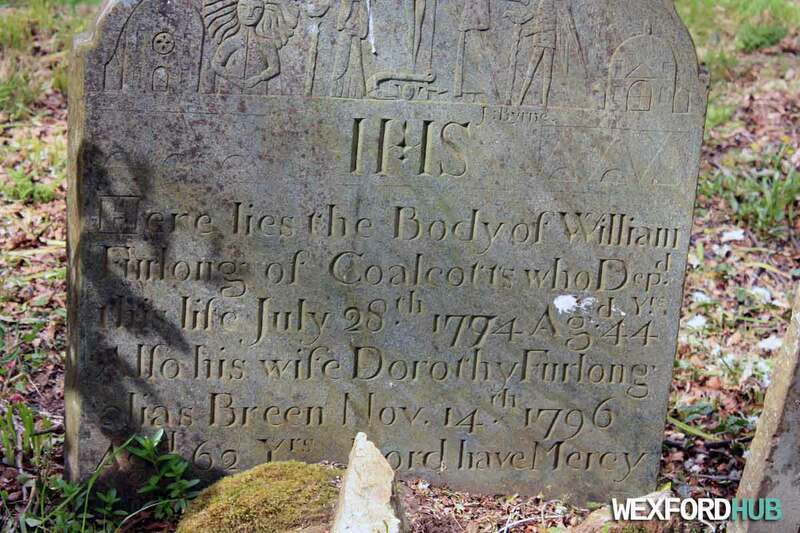 Also, his wife Dorothy Furlong (alias / nee Breen), Nov. 14th 1796. Aged 62 years. Lord have mercy. 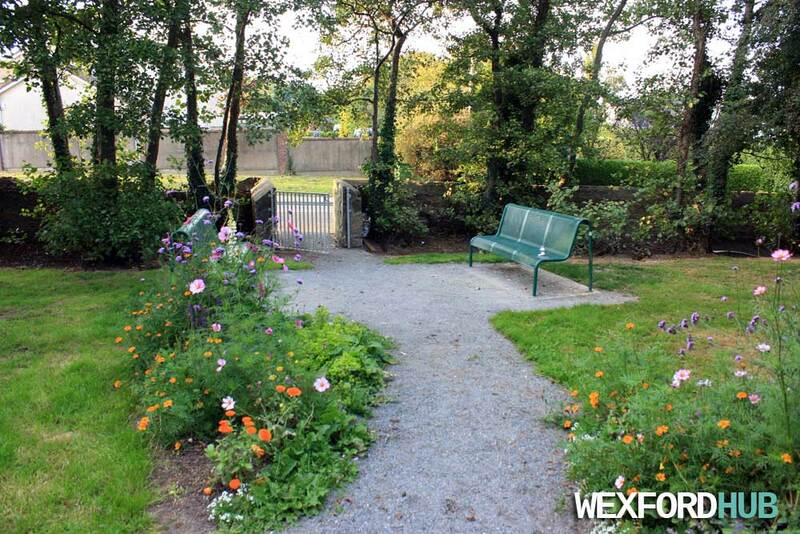 A photograph of Selskar Gate in Wexford Town. 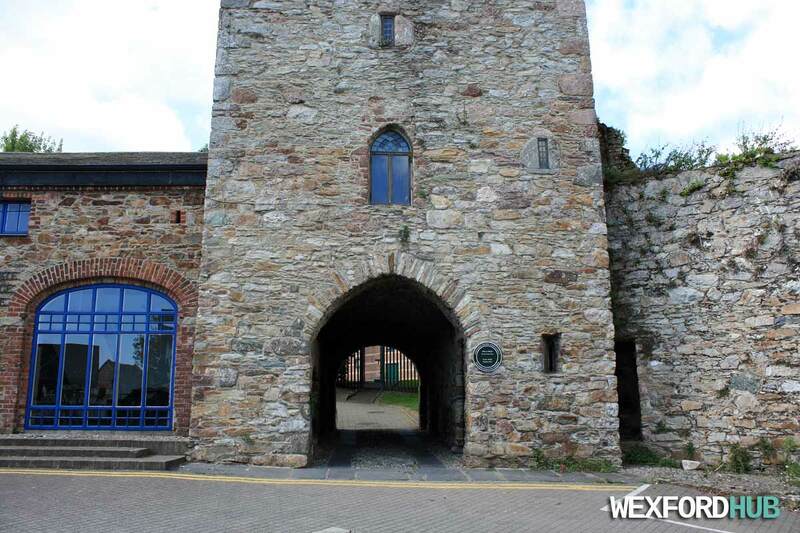 This was one of seven Norman gateways that provided access to the walled town of Wexford. 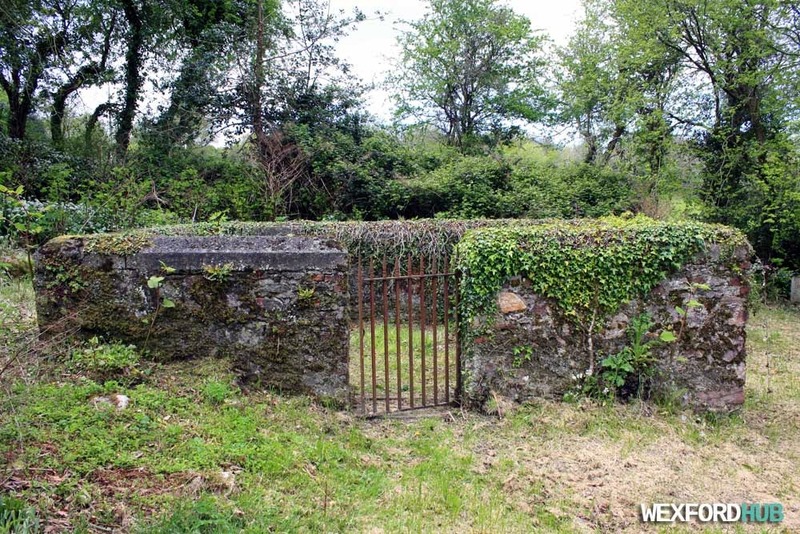 This particular gateway is often (erroneously) referred to as West Gate, which was the name of a nearby gate that was demolished. 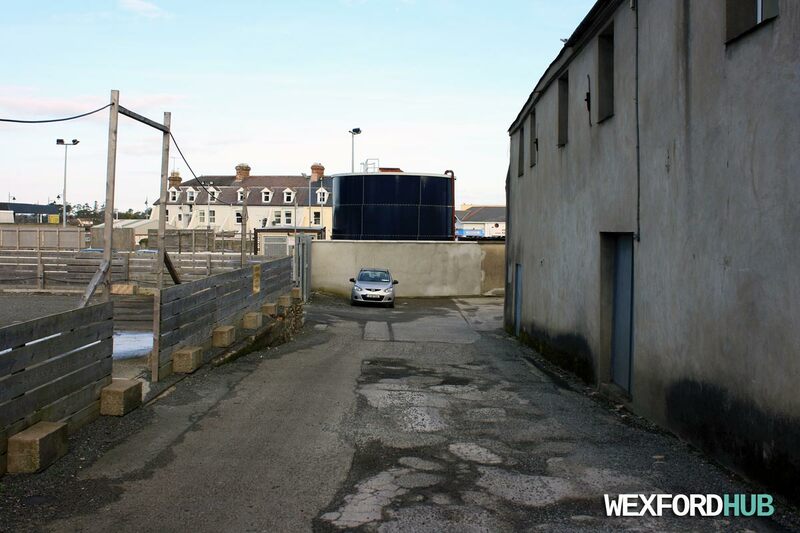 A photograph of the bottom of Kaats Lane, which is in the Westgate area of Wexford Town. This lane connects Westgate with the car park at Dunnes Stores. 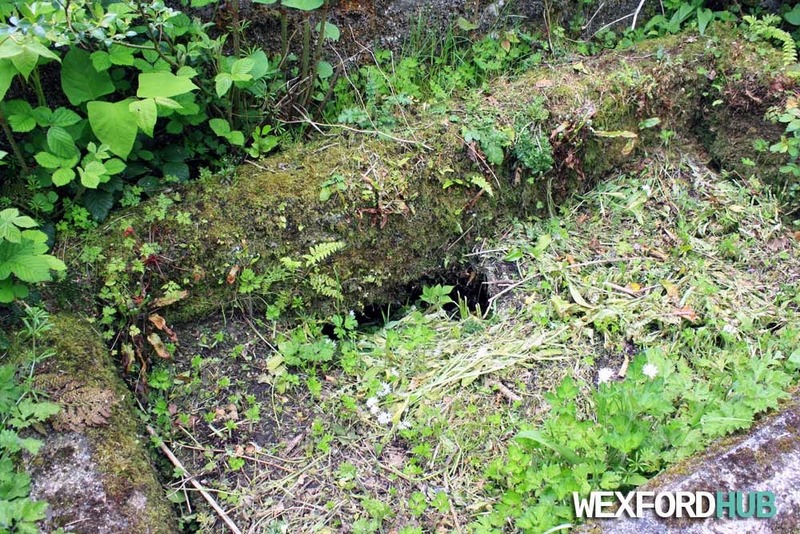 In the past, it was home to Wexford Glass. 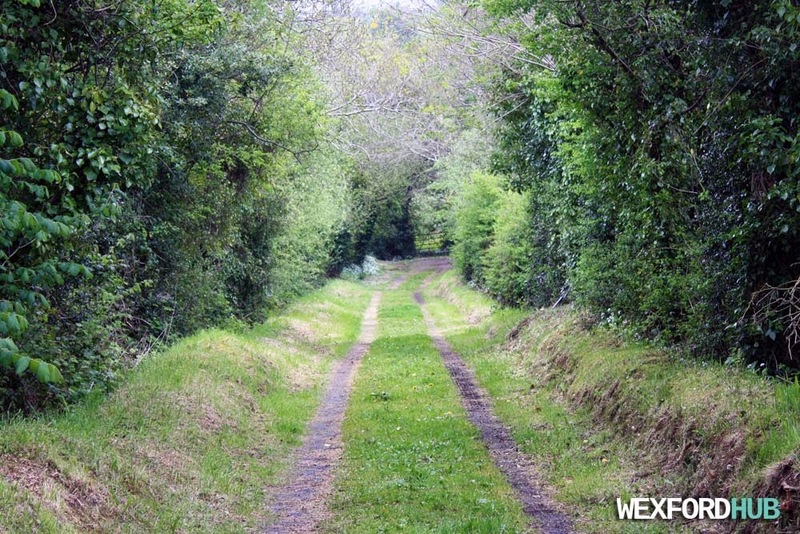 A photograph of Keyser's Lane in Wexford Town. 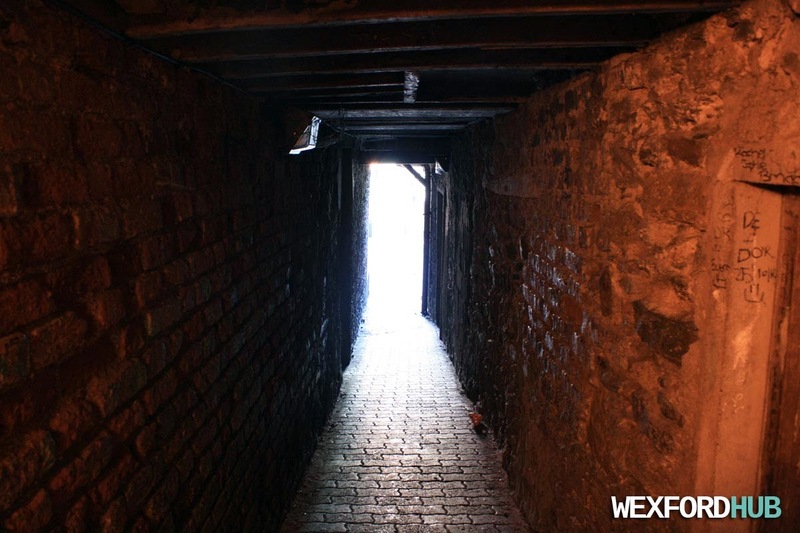 This old Norse lane runs between South Main Street and Crescent Quay. This lane is so old that its creation date is unknown! A reconstruction of a Bronze Age "Stone Circle". Historians and archeologists are still unsure about the purpose of these mysterious stone circles. Were they used by druids? Did prehistoric peoples use them to worship the sky? Did they mark a burial ground? 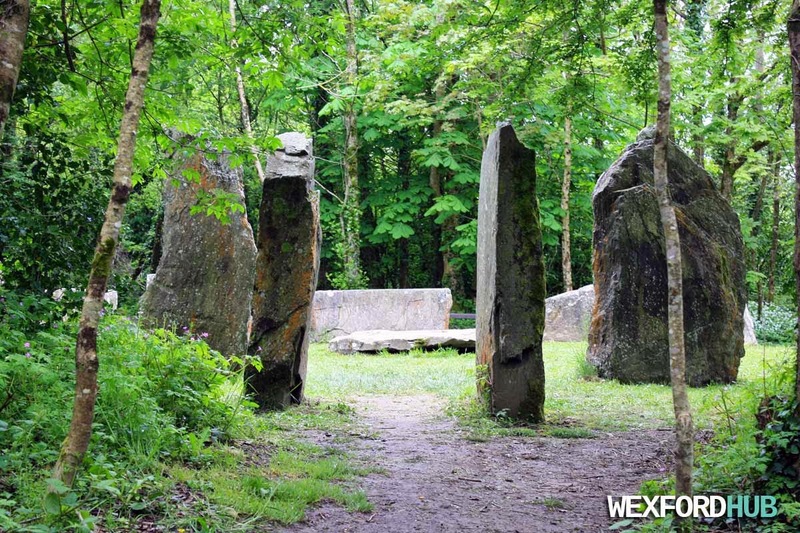 These is the recreated stone circle in the National Irish Heritage Park in Ferrycarrig, Wexford. 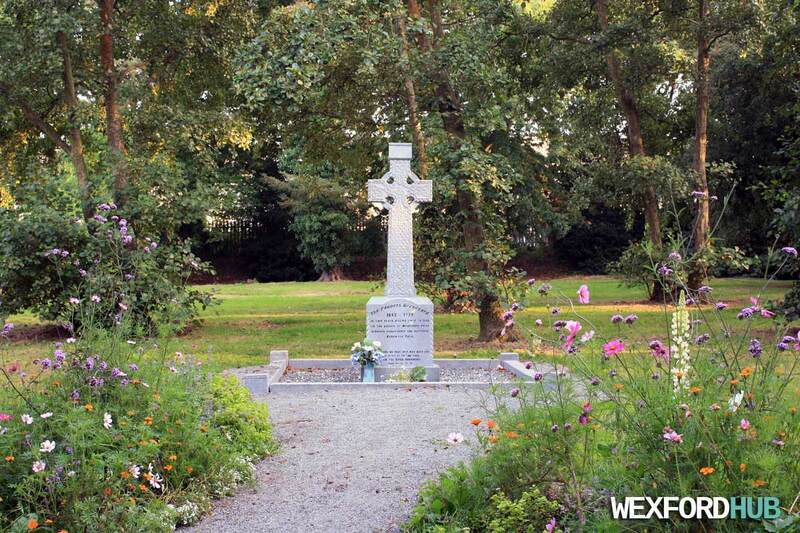 Carrig Graveyard is an old cemetery in Wexford, Ireland. 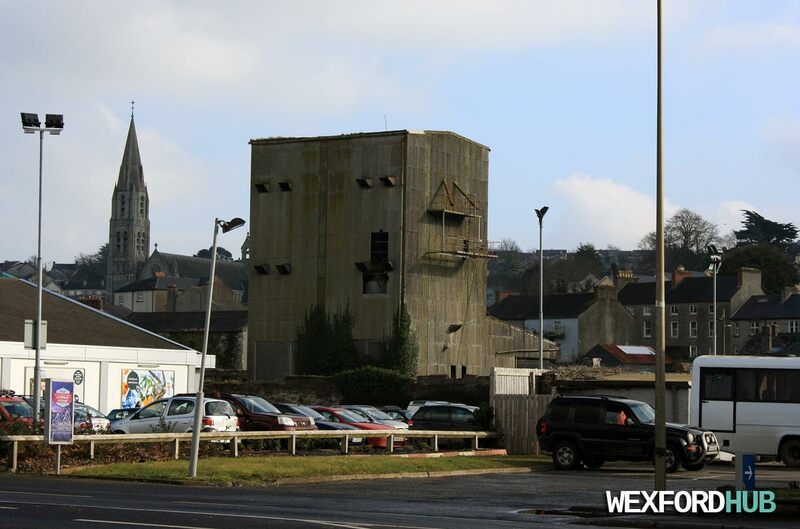 It is home to many of those who were killed during the insurrection of 1798. 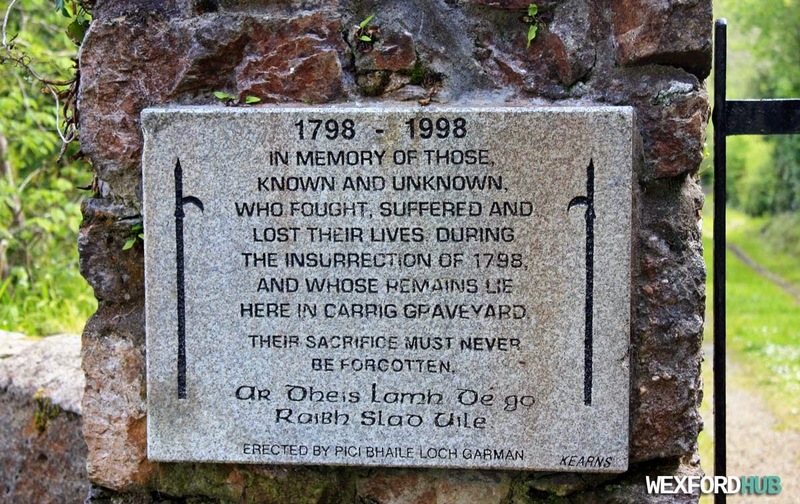 A close-up shot of the memorial plaque, which honours those who died in the 1798 Rebellion. 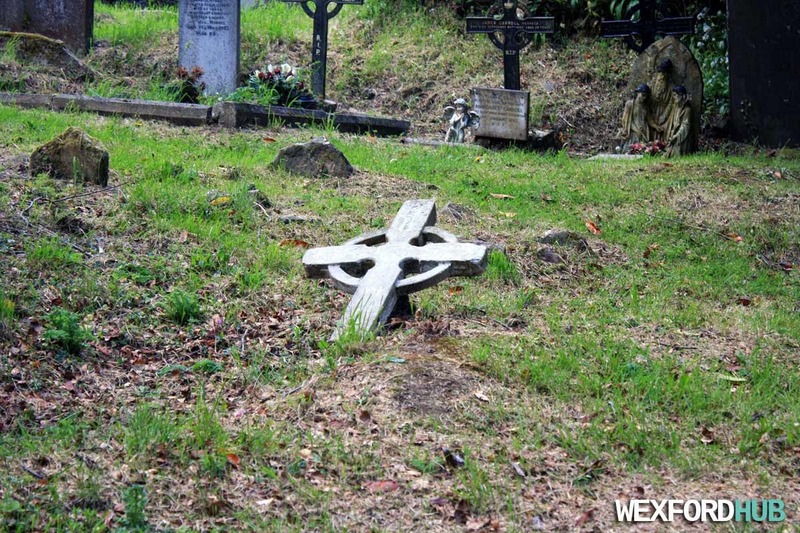 The Irish / Gaeilge means: "May they all be at the right side of God." It is impossible to tell how many people are buried here, as communal mass graves were a common thing in earlier centuries (the cost of purchasing a plot would have been out of reach for many a grieving family). 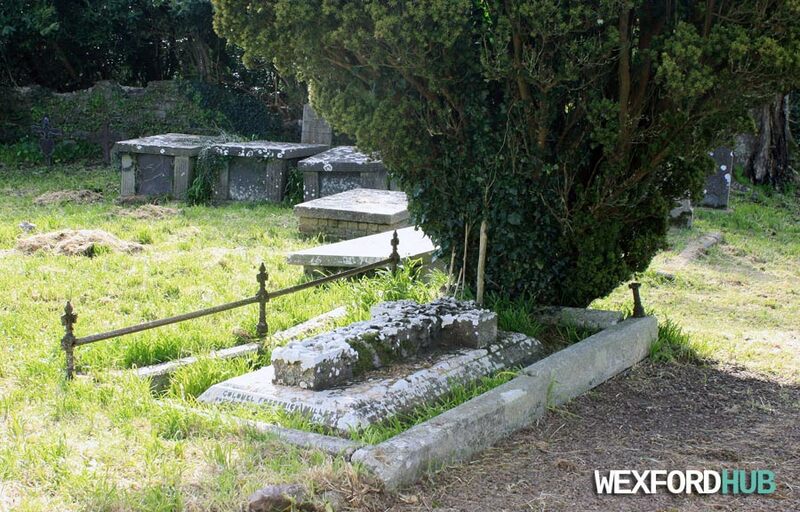 For more information about the graveyard and its location, click here. 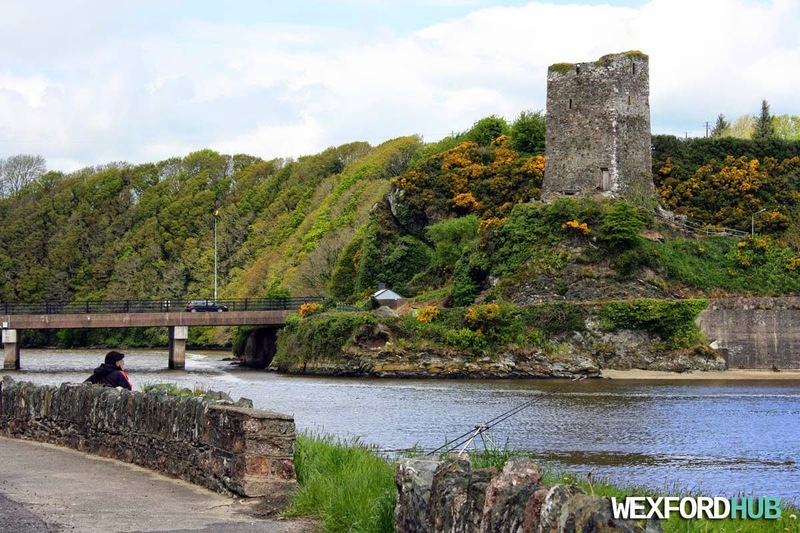 A man fishes in the River Slaney - relaxing in front of the Norman Tower House that once guarded it from bandits and pirates. Date: 12th of May, 2015. 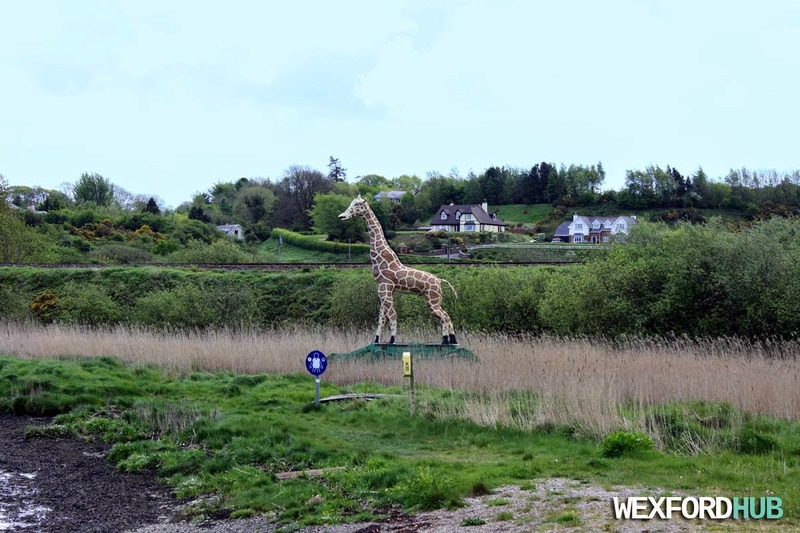 A photograph of the giraffe statue in Ferrycarrig, Wexford. 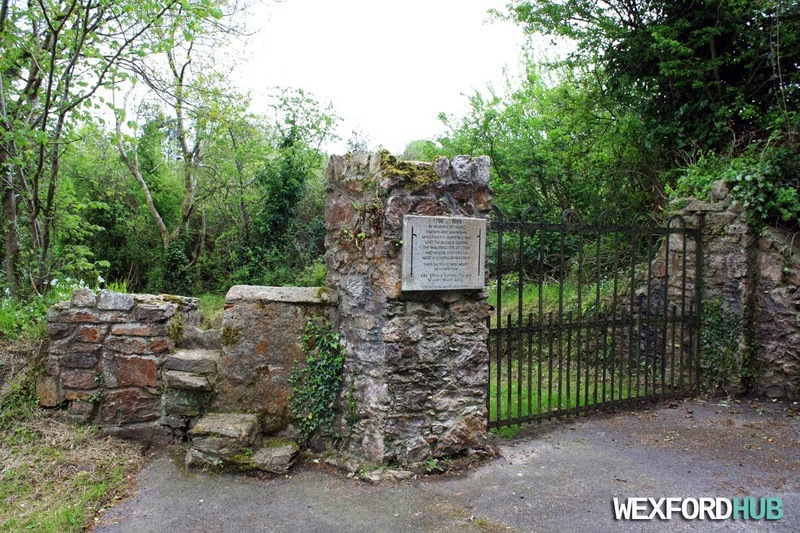 This stands at the shore of the River Slaney, on the road between Ferrycarrig Castle and Wexford Town. 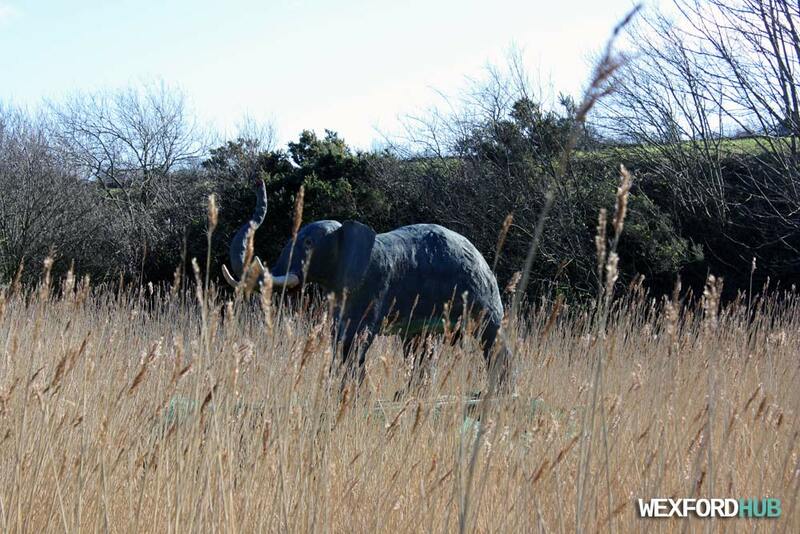 The model was created by local man Declan Power, who also made the model of the nearby elephant. This was taken in May of 2015. A busy Saturday morning on Wexford's Commercial Quay. Traffic was beginning to build up as the day grew closer to noon. 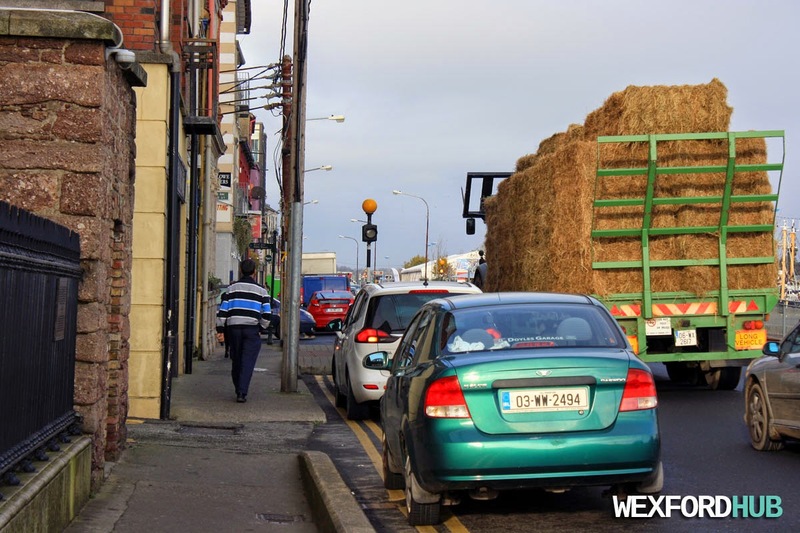 A truck carrying hay drove by as I attempting to capture the hustle and bustle of the quay. Taken on the 6th of Nov, 2014. 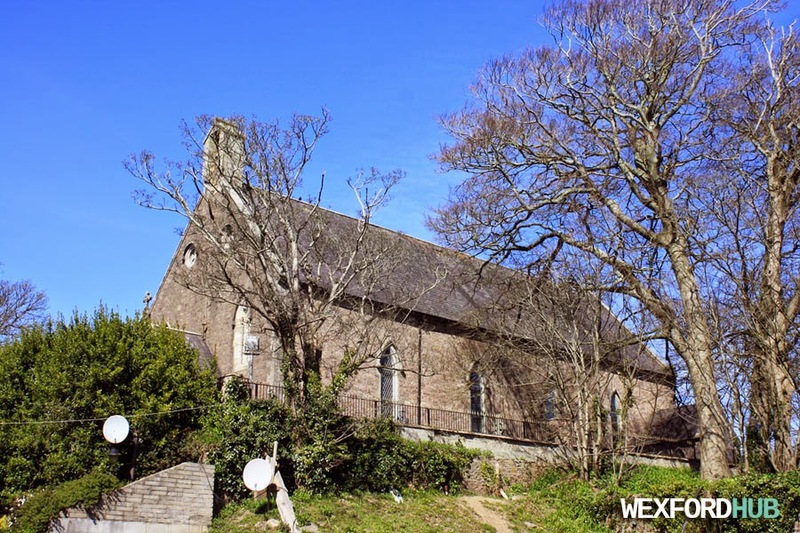 A (half) photograph of Ardcolm Church in Castlebridge, Wexford. Built back in 1766. Unfortunately, I only had time to snap a picture from the side that is obscured by trees. 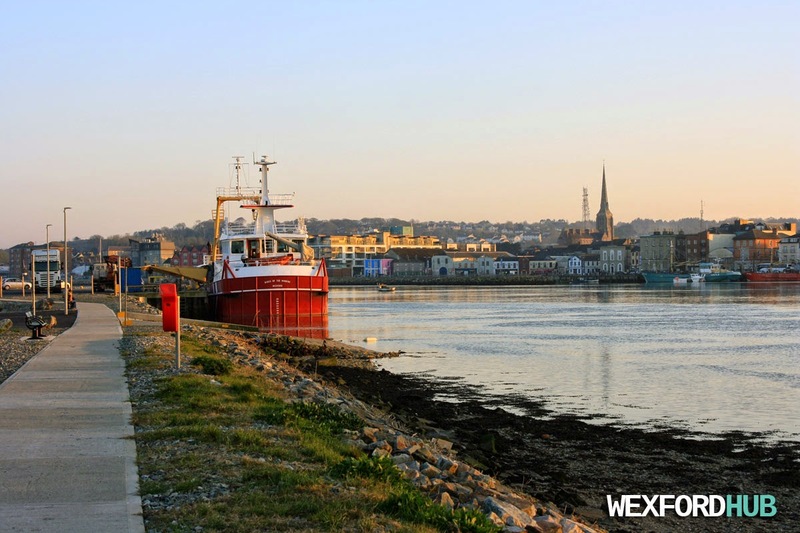 A photograph of Ferrybank in Wexford, just as the sun was beginning to set. Taken in April, 2015.